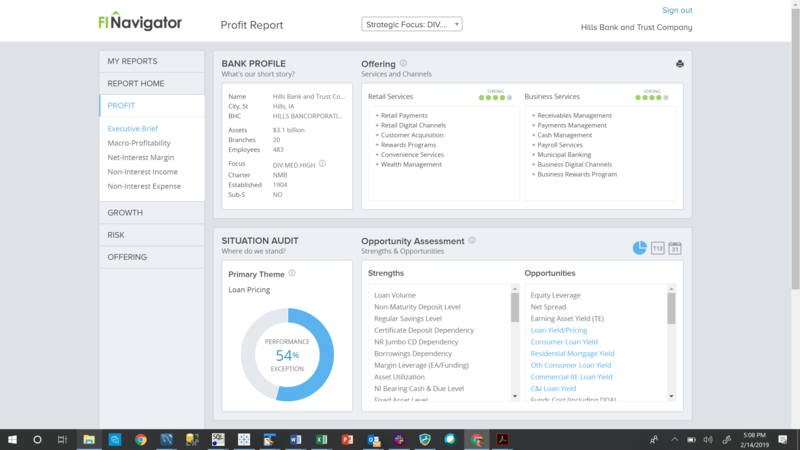 Imagine instantly viewing any financial institution’s strategic plan. Would that be a competitive selling advantage? Stop talking about becoming your client institutions’ trusted advisor, and actually do it. Build laser-focused prospect lists to drive strong campaign results. Engage as a trusted advisor with relevant recommendations. Enrich your CRM data with unique insights on performance, offering or vendor relationships. Evolve your strategy for product, segments or white space adjacencies. Build your most targeted prospect list ever, in under 90 seconds. See how else FI Navigator can enhance your marketing efforts. Develop a comprehensive account plan on any institution — instantly. See how else FI Navigator can enhance your sales efforts. Easily enrich your CRM account data with FI performance, offering & other unique data. 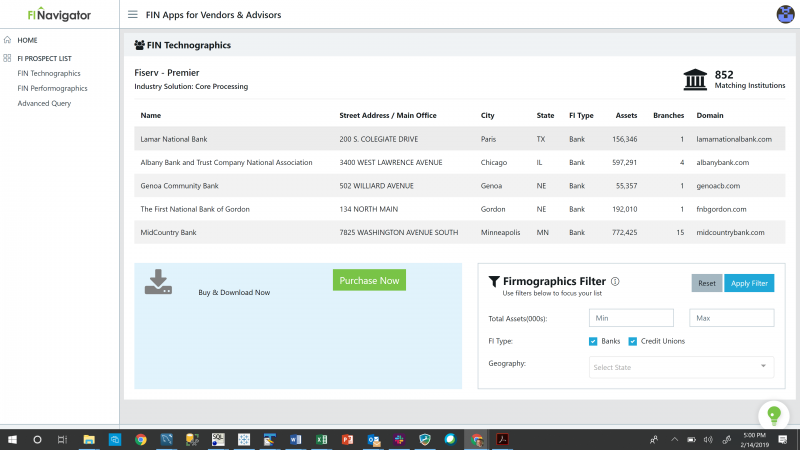 See how else FI Navigator can super-charge your CRM data. Instantly calculate market size and market share for any FI segment by technology solution. See how else FI Navigator can enhance your strategy efforts. The team at FI Navigator has pioneered the evolution of analytics in the banking vertical for nearly two decades. In 2000, they founded BancIntelligence.com introducing instantaneous SaaS performance analytics to financial institution executives at over 1,000 financial institutions. Unearthing new, comparable data was a critical first step, but the data needed structure to be converted into insight. FI Navigator has developed innovative analytics decision trees to allow users to quickly navigate to each institution’s performance opportunities. In addition, FI Navigator developed an innovative solution hierarchy that allows institutions to compare their retail and business offerings along with operating systems. These analytics innovations allow instant insight into institution strengths, weaknesses, performance themes, cost/benefit and even next-most-likely solutions. 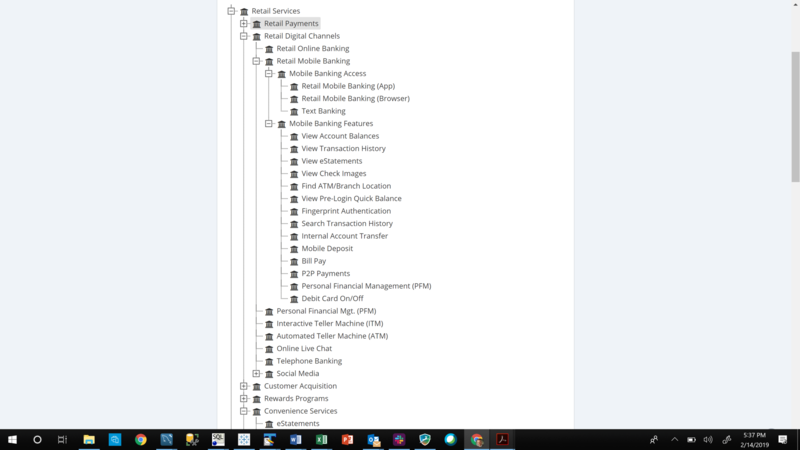 Recognizing that data on financial institutions wasn’t keeping pace with the industry’s digital transformation, FI Navigator developed proprietary data extraction techniques to mine data from financial institution websites, app stores, vendor sites, job posts and a variety of other sources. 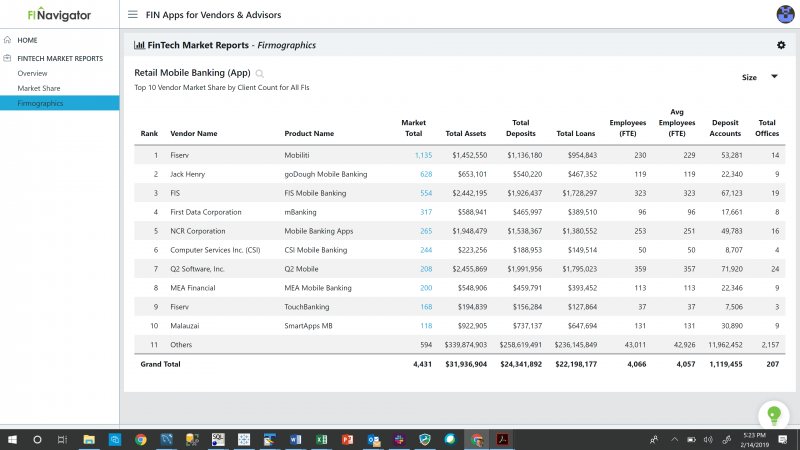 Integrating this highly unique data with standardized regulatory data enables incredibly enhanced insight on financial institution and vendor performance. Typically, market research focuses exclusively on market leaders. We’ve all seen reports labeled “The State of U.S. Mobile Banking” only to find that coverage only extended to the top ten institutions. Our approach is different in that we cover every one of the nearly 11,000 banks and credit unions in the U.S. Additionally we’re constantly expanding our solution hierarchy with coverage now of over 100 retail, business and operating solutions leveraged by these financial institutions. This obsessive focus on industry coverage allows you to examine the entire market for strategy, or zoom into a specific institution for tactics. Empower your team to identify high-probability prospects and convert through more compelling client conversations in the field. See firsthand how FI Navigator can supercharge your efforts.